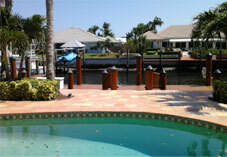 Palm Beach with over 40 years of experience of serving South Florida homes and businesses. 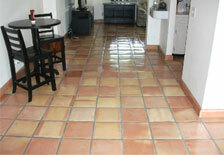 We specialize in the installation and care of authentic handcrafted Mexican Saltillo tile. It’s what we do every day, and it shows. 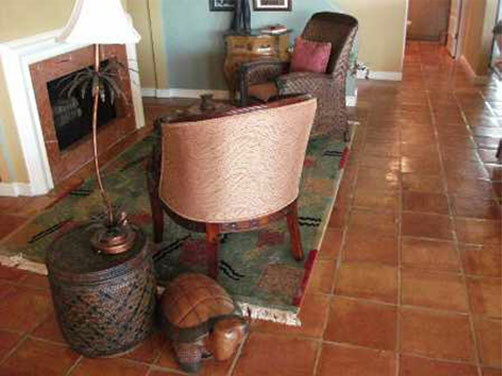 The partners, Jon Fogt and Al Balin, have over 40 years combined experience in installing, restoring, refinishing, improving, and repairing Mexican tile floors. 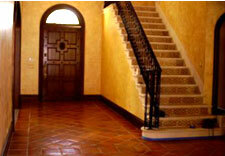 We import our tile directly from Mexico to guarantee quality and availability. This is the genuine article; beautiful, distinctive, and authentic. We have developed installation, reconditioning, and maintenance procedures that are of the highest quality and are homeowner friendly. 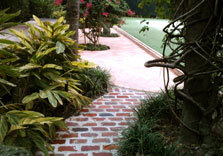 We train our employees to use our own proven methods and materials to maintain this level of quality. We are licensed, bonded, and insured, and can provide any number of references. We believe that a handmade tile floor can have character, quality, and beauty and still be easy to live on and maintain. Whether you’re looking for a Mexican Tile Company in South Florida, Delray Beach, Boca Raton, Boynton Beach or Fort Lauderdale, please give us a call.